Treatment of drug resistant Pseudomonas aeruginosa presents a variety of challenges for healthcare providers. Here, two pharmacists with specialized infectious diseases and critical care training weigh in on the management of infections caused by drug resistant Pseudomonas aeruginosa. Interview With: Karrine D. Brade, Pharm.D., BCPS & Jennifer C. Wilson, Pharm.D., M.B.A.
Pseudomonas aeruginosa is a non-lactose fermenting Gram negative bacilli well known to healthcare providers for it’s ability to cause infections that are particularly difficult to treat. 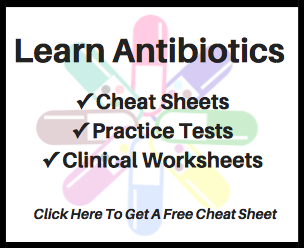 When the organism presents without resistance to any antibiotics (i.e., best case scenario) there are about 16 antibiotics to choose from. Of these drugs there are only two that are available in an oral formulation. There is little difference between these two medications (ciprofloxacin and levofloxacin). Thus, even under the best conditions the options are limited in the outpatient setting for treating Pseudomonas infections. Pseudomonas can be multidrug-resistant (MDR), extensively drug-resistant (XDR) or pandrug-resistance (PDR). Definitions of MDR, XDR and PDR are still debated today. A publication by Magiorakos et al. provides some of the most well-cited definitions for these terms. In this text, MDR refers to an isolate non-susceptible to at least one agent in three antimicrobial categories. XDR refers to an isolate non-susceptible to at least one agent in all but two or fewer antimicrobial categories. PDR refers to an isolate non-susceptible to all agents in all antimicrobial categories. Managing drug-resistant Pseudomonas can be tricky. In turn, dissemination of clinically relevant and reliable information to those who may find it useful is a worthwhile task. This is the motivation for the following interview. Recently, Wilson et al. published an article in the Making A Difference In Infectious Diseases (MAD_ID) Newsletter entitled: Existing and emerging treatment options for multidrug-resitant Pseudomonas aeruginosa infections. It is an excellent review on the topic. I reached out to the authors for an interview on the topic they know so well and they agreed. The following is an interview with Dr. Wilson and Dr. Brade. 1. What motivated your group to investigate treatment options for multidrug-resistant Pseudomonas? At Boston Medical Center (BMC), we frequently encounter infections caused by MDR aeruginosa, with more than 30% of our isolates being resistant to traditional agents, including carbapenems. Based on these high resistance rates, we have implemented hospital guidelines with recommendations for empiric double coverage for patients at risk for invasive MDR P. aeruginosa infections. However, once these organisms become resistant to existing antibiotics, we find ourselves with limited available options. Our efforts to research this topic were centered around our desires to gain a more in-depth understanding of the currently available antibiotics, as well as those in the pipelines, that are active against these MDR organisms. 2. If MDR pseudomonas is expected and ceftazidime-avibactam (Avycaz) versus ceftolozane-taezobactam (Zerbaxa) is on the table, how would you decide which to select? Although ceftolozane-tazobactam and ceftazidime-avibactam have both demonstrated in vitro activity against MDR aeruginosa isolates, data from clinical trials are limited. Ceftolozane’s structural differences from ceftazidime lead to improved outer membrane permeability and increased stability against AmpC beta-lactamases, both of these resulting in better activity against MDR P. aeruginosa. The addition of avibactam to ceftazidime restores its activity to enzyme-mediated resistant strains of P. aeruginosa, but does not have the same effect on isolates with other mechanisms of resistance. For these reasons, ceftolozane-tazobactam is utilized more for MDR P. aeruginosa, while ceftazidime-avibactam is better suited for use against carbapenem-resistant Enterobacteriaecae. That being said, at BMC we have added ceftolozane-tazobactam to formulary (restricted to Infectious Diseases) to be used against these MDR P. aeruginosa infections; however, due to limited clinical data and reported ceftolozane-tazobactam resistance, we require susceptibility testing prior to initiating therapy with this agent. 3. Oral fosfomycin is not a commonly used drug for Pseudomonas. Are there circumstances that when this option should come to mind? Currently in the US fosfomycin is approved only as an oral treatment option for uncomplicated, lower urinary tract infections caused by Escherichia coli and Enterococcus faecalis, but is widely utilized in both oral and intravenous forms in European countries. Due to increasing rates of resistance with traditional agents, the potential use of fosfomycin for MDR P. aeruginosa infections has become a hot topic; however, current data suggests that P. aeruginosa susceptibility rates are unpredictable and use of fosfomycin monotherapy is associated with rapid development of resistance. Data regarding the use of oral fosfomycin for urinary tract infections due to MDR P. aeruginosa are limited. A recent retrospective analysis conducted by Seroy et al. evaluated the use of oral fosfomycin in MDR urinary tract isolates, but included only 3 patients with P. aeruginosa (1 episode of persistent infection, 0 episodes of recurrence). Given the paucity of data and high rates of resistance, it is difficult to provide a recommendation for the routine use of oral fosfomycin in the treatment of MDR P. aeruginosa urinary tract infections, but it may be considered as an oral, step-down therapy if susceptibility data are available. 4. Pseudomonas susceptibility to polymyxins remains high, but toxicity remains problematic. When forced to pick, which do you prefer, colistimethate sodium or polymyxin B? Although the polymyxins have nearly identical mechanisms of action and are both associated with high rates of nephrotoxicity, these agents are quite different in terms of formulation and dosing challenges. Unlike polymyxin B, colistimethate sodium is administered as a prodrug which must be converted to its active form by the kidneys. In patients with normal renal function, rapid elimination of this prodrug makes achieving therapeutic concentrations difficult, even with the administration of loading doses. This property makes colistimethate sodium a better option for MDR aeruginosa urinary tract infections due to the high concentrations of drug achieved within the urinary tract, but a less desirable option when used for systemic infection. Colistimethate sodium also requires renal dose adjustment to prevent nephrotoxicity. Polymyxin B does not concentrate in the urine, but achieves more reliable plasma concentrations, making this drug a preferable agent for non-urinary tract MDR Gram-negative infections. Due to risk of the development of resistance during treatment, we believe the use of either of the polymyxins is only appropriate when used as part of combination therapy. 5. While several investigational agents are being explored for MDR Pseudomonas, none have a novel mechanism of action. How much does this concern you? The lack of investigational agents with novel mechanisms of action in the treatment of MDR P. aeruginosa is particularly concerning. Since MDR strains already possess means of resistance to current agents, researchers must find new ways for derivatives of traditional antibiotic classes to evade these mechanisms of resistance. One example of a new antibiotic that does possess a novel mechanism of action is cefidericol, a siderophore cephalosporin under investigation. This agent utilizes a “trojan horse” strategy to attain accelerated influx into the bacterial cell by exploiting the bacterial iron-siderophore uptake system, resulting in potent activity against carbapenemase-producing MDR P. aeruginosa isolates. Although some newer agents do have promising activity, there remains concern that it is only a matter of time before significant resistance develops, highlighting the importance of antimicrobial stewardship. Clinicians must be vigilant about implementing antimicrobial stewardship strategies, de-escalating once cultures result, treating for appropriate durations, and only using broad-spectrum agents when completely necessary. 6. Do you have one or two pieces of advice for pharmacists who must assist in the management of MDR Pseudomonas infections in 2017? First, it is important to recognize that patients in whom MDR P. aeruginosa is isolated are often medically complex, making it vital for clinicians to differentiate colonization from true infection. Understanding that all P. aeruginosa isolates do not represent active infections and engaging in discussions with medical teams to utilize diagnostic tools and lab assays to identify and treat only these infections are critical skills for pharmacists to possess. This will allow us to reserve the older antibiotics, as well as the new agents in development, for patients with true MDR P. aeruginosa infections. Second, implementation of pharmacist-driven antimicrobial stewardship strategies at your institution is critical to the prevention and management of MDR Pseudomonas. At BMC, in addition to our numerous infectious diseases treatment guidelines, we have implemented a restriction policy, 48-72 hour antibiotic time-outs, prospective audit and feedback, dose optimization through extended-infusion beta-lactams, and are in the process of requiring indications on all antibiotic orders. These protocols and guidelines being utilized by our stewardship team daily are important in combatting against all multi-drug resistant infections. Karrine D. Brade, Pharm.D., BCPS, is the Antimicrobial Stewardship/Infectious Diseases Clinical Pharmacy Specialist and PGY2 Infectious Diseases Pharmacy Residency Program Director at Boston Medical Center. She received her Doctor of Pharmacy at the University of Colorado and completed her PGY1 at Memorial Hospital – University of Colorado Health and PGY2 Infectious Diseases Pharmacy Residency at Detroit Medical Center. Jennifer C. Wilson, Pharm.D,. M.B.A., is currently the PGY2 Critical Care Pharmacy Resident at Boston Medical Center. She received her Doctor of Pharmacy from Campbell University and completed a PGY1 Pharmacy Practice Residency at Vidant Medical Center.